If you’re searching for the best web browser for 2019, you might have landed on the right web page. Apparently, using a web browser. We can call web browsers a door to the information space we know as the world wide web, not the internet (See the difference in our detailed post). 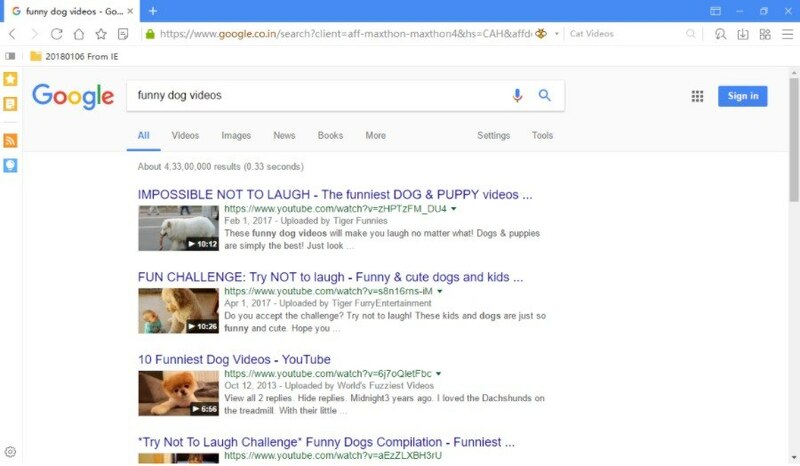 All you have to do is type the URL in the address bar, and your browser will do the rest to display the website which includes techy stuff like contacting the DNS server to get the website’s IP address. Internet browsers have other uses as well; they can be used to access information on some private server or play a local video stored on your device. With appropriate components added, a web browser can double up as your password manager, download manager, torrent downloader, automatic form filler, etc. People always want that they get the fastest browser out there. Moreover, the abundance of extensions and plugins is another quality a good web browser should manifest. So, here, I have tried to sum up some efficient and powerful internet browsers that you might want to try this year. 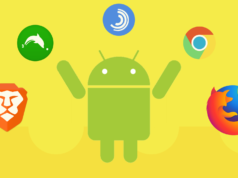 In case you pulled off here for Android, here is our list of Android Browsers. Note: This list is not arranged in any order of preference. When Google first introduced Chrome in 2009, it quickly rose up the popularity charts because it was the fastest web browser back then. Now, it has competitors. And as the most used web browser today with more than 60% market share, it’s Google’s responsibility that Chrome maintains a standard when it comes to speed and providing features to the users. Other than basic browser features like bookmark management, extensions, themes, incognito mode, etc. one thing I like about Chrome is the profile management. The feature allows multiple people to use the same browser without getting their internet history, download history, and other things merged. Chrome also allows users to cast content to a Chromecast-enabled device using their WiFi network. With the help of Chrome extensions like VidStream, it’s like a child’s play to stream a locally stored movie to my Chromecast device. Read this for more amazing Chromecast tricks. Another thing that makes Chrome one of the best web browser apps in 2019 is the cross-device support. The web browser can easily sync internet history, tabs, bookmarks, passwords, etc. across devices if you have signed-in to your Google account. Just recently, with the Chrome 71 release, Google brought tonnes of new features focusing towards users’ security. Amongst the notable new features is new ad blocker that will block abusive ads to protect you against an annoying web of ads on a webpage. 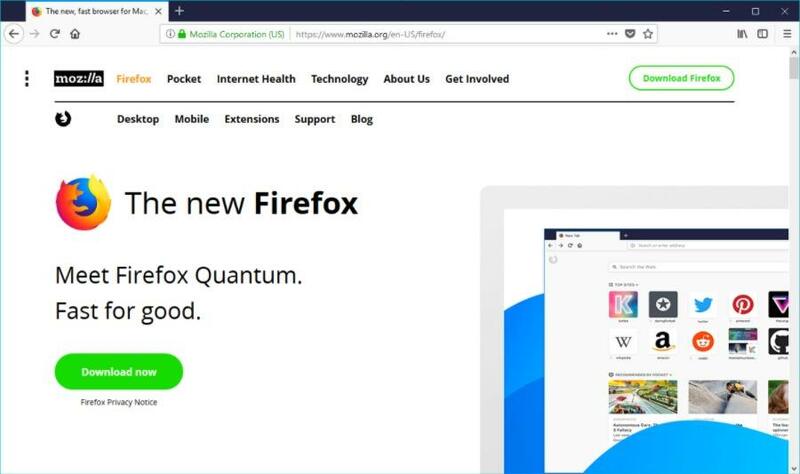 Mozilla recently released Firefox 64 which packs some useful features such as better recommendations, enhanced tab management, a new task manager page and much more. The new Firefox is way faster than its ancestors, and it is now giving a tough fight to Chrome also. You can read our Chrome vs. Firefox detailed post to get a better idea of how the two web browsers compare. Firefox’s redesigned UI and many new features might compel people to switch their browser. When using Private mode, this Chrome browser alternative uses a feature called Tracking Protection to prevent requests from tracking domains, thereby, loading the web pages considerably fast. But some media reports suggest that Firefox just delays loading of the tracking scripts to load user-related content first. Anyway, I am pretty confident that revamped Firefox would not disappoint you. With the features like complete disabling of tracking, blocking in-browser cryptomining, this top browser is becoming an ever more attractive option. Everyone knows that Microsoft released Edge to save the lost respect of their veteran browser Internet Explorer. 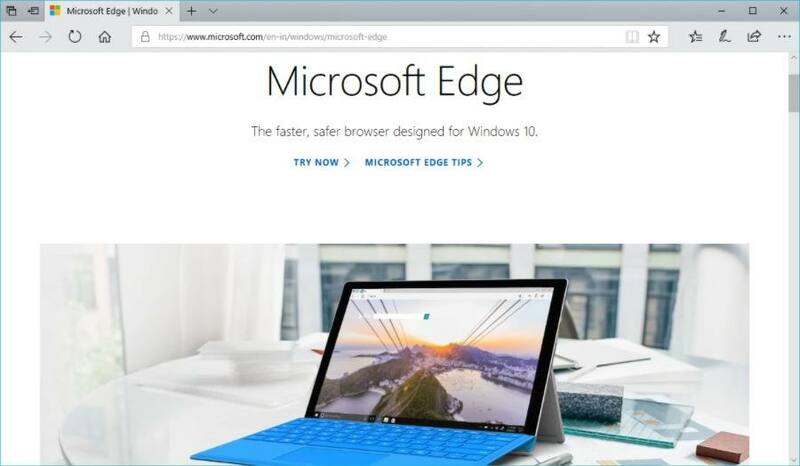 Now, it seems Edge is undoubtedly among the best web browser software for Windows 10, and recently, Android and iOS. People might not want to get out of their Chrome comfort zone, but Edge has something to offer. After using Edge for a while, there are many features which you would like and find useful. 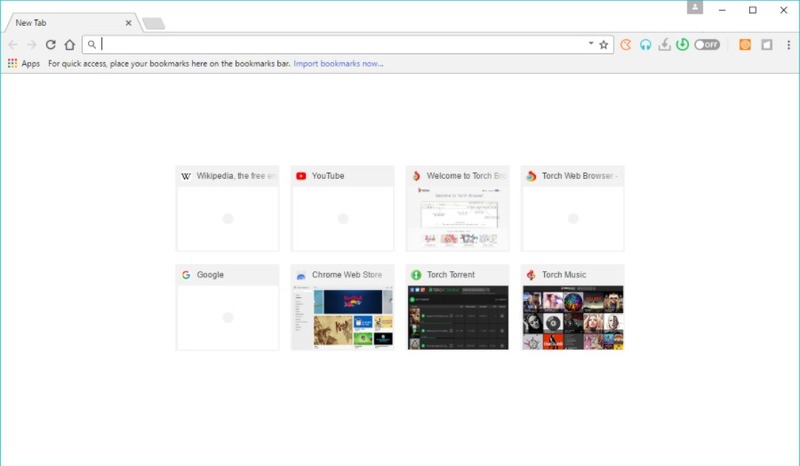 You can set the tabs aside to make space for new browser tabs; a single Hub provides access to bookmarks, internet history, downloads, etc. The built-in Notes extension is quite helpful; it allows users to add notes, highlight something, writing, or snipe, and save the web page on the device. Next to Notes is the Share button that people can use to share a web page directly over email or social apps like Skype, Twitter, Facebook, add to Cortana Reminders, etc. Edge also comes with a reading mode which is quite handy when reading articles on websites with tons of intrusive adverts. The Show Tab Previews feature is an advantage, but I find it somewhat useless as previews are already available in the taskbar in Windows. 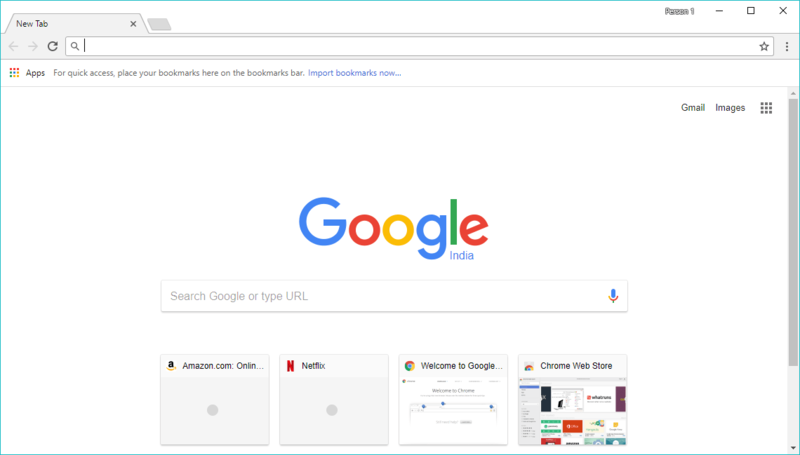 However, Microsoft’s recent decision to shift to Chromium could drastically change Microsoft Edge in the coming future. Regarding extensions, Microsoft Edge has only 211 (as of writing) of them, and they’re available in Microsoft Store. 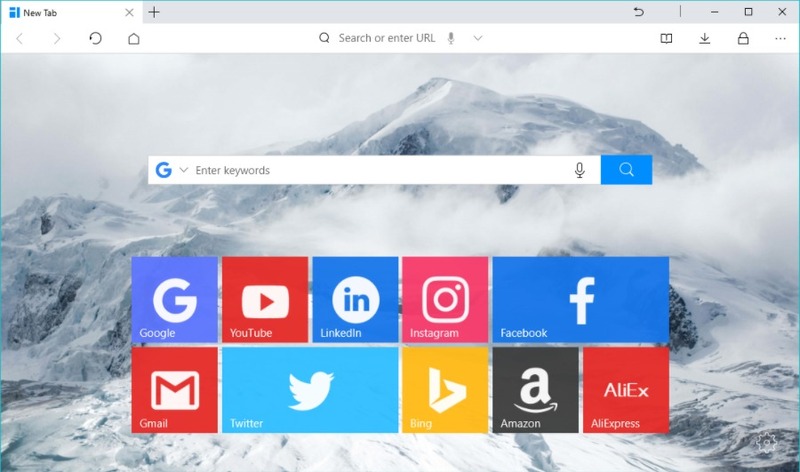 One of the reasons why one can go for Edge is that this top web browser integrates with Windows 10 better than any other browser. And it is fast and responsive. You might very well remember using Opera Mini on your Java-enabled mobile phone. Probably, the oldest web browser that’s currently receiving active development, Opera has almost got diminished due to the success of Chrome. Still, it improved itself, and now it’s worthy enough to find a place in the list of best internet browsers in 2019 for Windows and other desktop operating systems. It’s often considered as best Firefox alternative. Opera recently made headlines when it’s developers announced the addition of a new feature to stop cryptojacking while people use the web browser. The desktop version of the web browser includes some features that are usually designed for smartphones, like, a data compression mode, and battery saver. Other exciting features the Opera can flaunt are in-built ad-blocker, screenshot tool, VPN service, currency converter, etc. However, the standout feature is the Opera Turbo feature that compresses web traffic and makes it one of the best web browsers for those who have low bandwidth. I found it a little bit difficult to find the Settings and Download options. These can be enabled or disabled in the context menu after making a right-click in the sidebar. Just like other web browser apps, Opera also supports cross-device sync to make the browsing available on all devices where you use your Opera account. 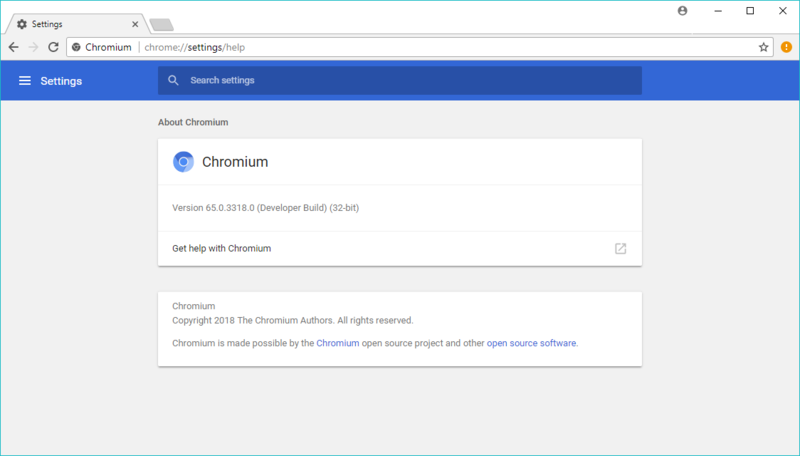 By look and feel, and features, Chromium is the same as Chrome. You can sign-in using your Gooogle account, sync data, download extensions, and more. Still, there are differences which might help users make a better choice. For instance, this Chrome browser alternative doesn’t support automatic updates, proprietary audio video codecs, and doesn’t come with player component. 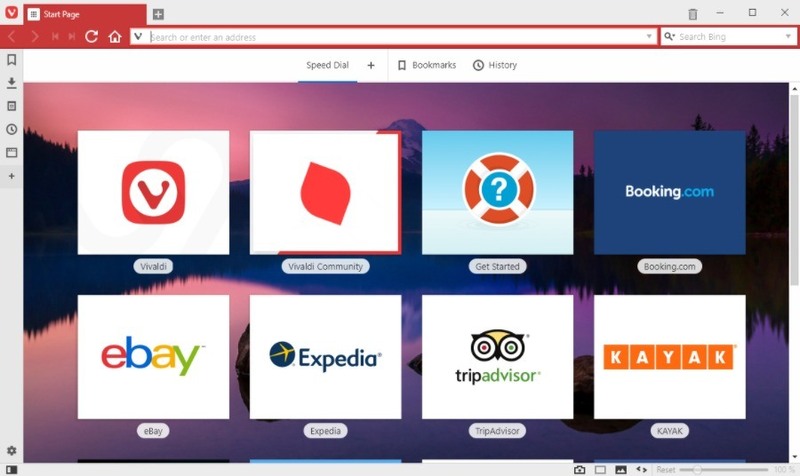 Vivaldi is only three years old, but it still ranks among the best web browser apps people can use in 2019. It was created by Opera Software co-founder Jon Stephenson von Tetzchner and Tatsuki Tomita. While using Vivaldi a thing you’d quickly notice is its adaptive UI which changes according to the color scheme of the website you’re browsing. Vivaldi is also based on Blink, but it was meant to bring to life many Opera features that were sacrificed during Opera’s transition from Presto to Blink. 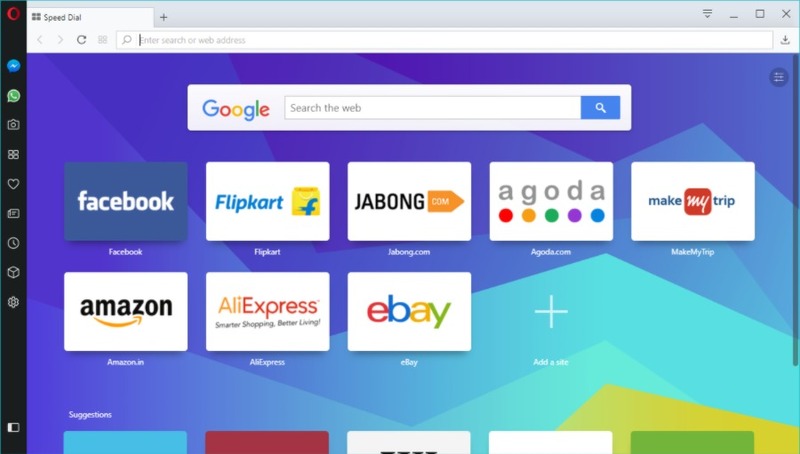 Being a Chromium-inspired browser, it supports Chrome extensions just like Opera. 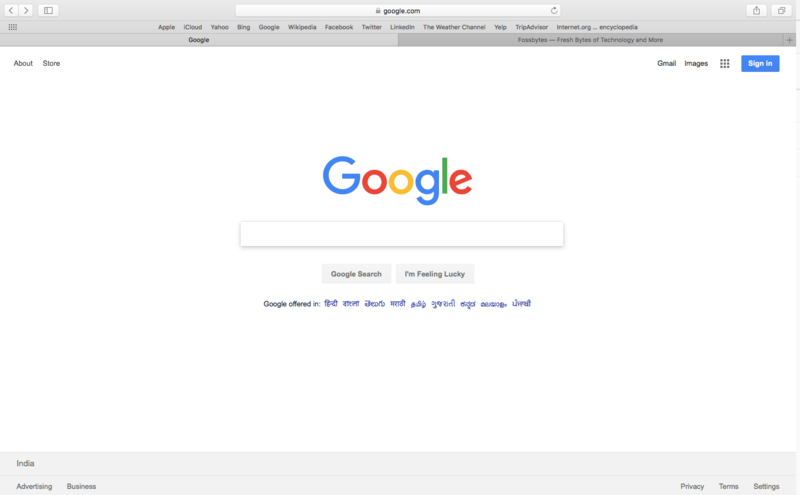 The browser is very similar to Opera with the same sidebar on the left-hand side. But the level of customization provided, such as for the address bar, tab bar, etc., is what makes Vivaldi a top web browser. More customizations include adding custom keyboard shortcuts and mouse gestures as per liking. There is a note taking tool present in the sidebar. Users can also add any website to the sidebar as a web panel. They can access the website anytime through a split screen view. It might not be as popular as Chrome, Firefox, or Edge, but the Chromium-based browser for Windows certainly deserves a place in the list of top 10 internet browsers. That because of the features it provides. If you’re a fan of the BitTorrent world, you will start loving Torch Browser because it comes with a built-in torrent downloader. You can check out our list of Top 10 torrent sites to find your favorite torrents. There is a media grabber tool which can be used to download streaming videos and audio files from web pages. It appears that this top web browser, which also includes a download accelerator, is designed primarily for users who download stuff every day. You can easily mistake Torch with Chrome because it looks almost the same and it is also a fast web browser like Chrome and Firefox. It supports your Google account login to browsing activity and other data between devices. However, you’ll start to feel the difference when visiting the Settings screen which doesn’t feature the material design as it’s based on a slightly older build of Chromium. Maxthon, existing since 2002, started off primarily as a web browser for Windows but it arrived on other platforms later. The developers have promoted Maxthon as a cloud browser. The PR gimmick, however, doesn’t seem to be exclusive anymore as almost all the top web browser apps now support data sync over the cloud. The free web browser comes with tools to capture videos from web pages, built-in Adblock Plus, night mode, screenshot tool, email client, password manager, note taking tool, etc. It also provides access to common Windows tools like Notepad, Calculator, etc. But I wouldn’t prefer using the same as I can open tools faster using the Start Menu. Maxthon poses itself as one of the fastest browsers by housing two rendering engines, WebKit, and Trident. However, this might not convince some users as the Microsoft-designed Trident has gone out of development in favor of EdgeHTML. Still, if you are looking for a good Firefox alternative, Maxthon is a fair choice. Also, the browser is based on an older version of Chromium, possibly for stability and compatibility reasons, so users might see “outdated browser” prompts on some websites. But you can make yourself comfortable since the developers regularly update Maxthon. It can be a good alternative to Google Chrome and Firefox users for a change. Earlier, Safari was available for Windows, but Apple discontinued it a few years ago. This top web browser from the house of Apple can now be used by MacOS and iOS users only. UC Browser is already counted among the best web browser software for Android. If you’re aware, it’s also available for other platforms including Microsoft Windows. Both as a desktop app and a UWP app for Windows 10. The look and feel of the PC version of UC browser are equally appealing as other well-known browsers we see in the market. It’s quick to realize that the basic theme of the web browser is inclined towards Microsoft Edge. UC Browser comes with a built-in password manager and cloud sync capabilities with other devices. Users can take advantage of the browser’s mouse gestures to go forward, back, close current tab, restore recently closed tab, refresh, etc. For the users with general web browsing needs, UC can be one of the fastest browsers they can choose. However, a possible downside could be the lack of extensions that might deviate some users to pick alternatives. 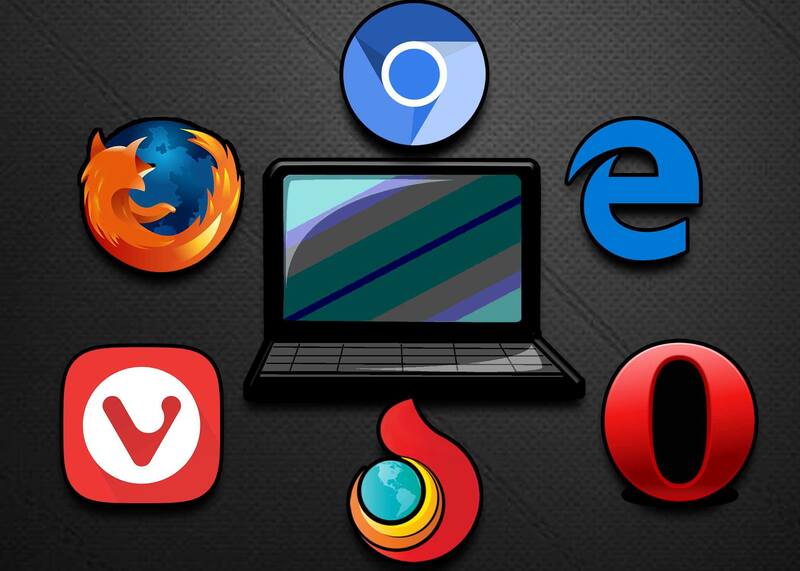 The final entry on our list of best web browsers for your computer in 2019 is Brave Browser. In a short span of time, Brave has earned a reputation of a privacy-focused web browser. It comes with inbuilt blockers for advertisements and website trackers. The browser provides an option to choose from a long list of 20 search engines. In a recent update, the developers also added an option of Private tabs integrated with Tor to ensure extra privacy. 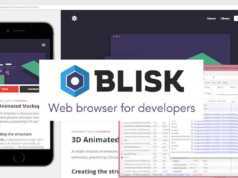 What we mostly see in the world of the web browser software, be it the browsers for Windows or some other platforms, it’s ruled by one of the big names. But the lessers known browsers are also worth giving a try. So, you can go for Chrome or Firefox if you prefer the big boy backing. But Vivaldi and Torch are also worth giving a try if you crave for features more than the brand name.